Senator: Kim Jong Un Must Realize Trump Is 'Very Different' From Obama - Integration Through Media ....! (VOA): North Korean leader Kim Jong Un must realize that Donald Trump is a “very different” U.S. president with a different policy than that of the previous administration, an influential U.S. lawmaker says. Risch will likely become committee chair if Republicans maintain control of the Senate and the current chair, Bob Corker of Tennessee, retires as he has said he will. Since the Olympics overture between the two Koreas, there's been growing concern in Washington that Seoul's approach toward Pyongyang could undermine Trump's effort to apply what he calls “maximum pressure” through the imposition of sanctions aimed at forcing Kim to give up nuclear weapons. 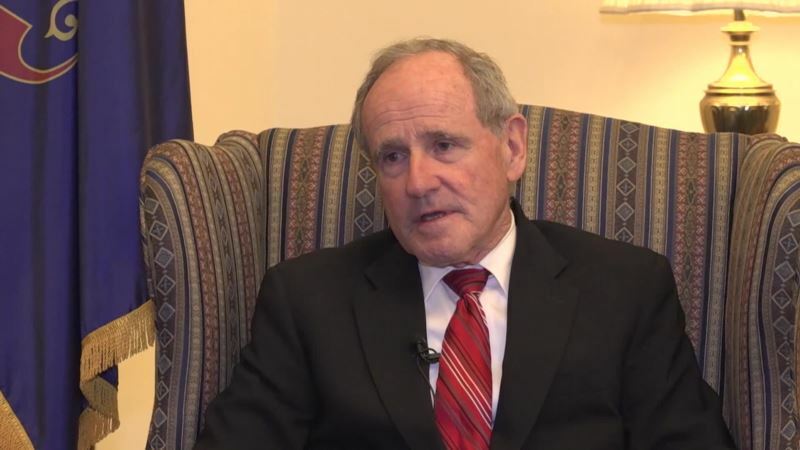 Risch, however, confirmed that he received a reassurance from Moon that the inter-Korean Olympic thaw will not undermine sanctions imposed against North Korea. Trump announced Feb. 23 what he called “the largest ever” package of sanctions against North Korea. At the time, he warned that if the latest sanctions fail to compel Kim to show willingness to denuclearize, the U.S. will enter phase two of its policy, suggesting the U.S. might use an option it has long held in reserve — military force. He dismissed the often cited “bloody nose strategy,” or what is more commonly known as limited military surgical strikes, as “some kind of a slap on the wrist” and “the least, smallest thing you can possibly do militarily.” Instead, the senator said the military option that the U.S. has in mind is larger. Risch's remarks before the Olympics came amid growing calls for preemptive military strikes against North Korea by hardliners in Washington. Although Trump left open the possibility for talks with North Korea, “only under the right conditions,” the U.S. military held a so-called classified “tabletop exercise” last week in Hawaii that examined how to mobilize American troops if a potential war on the Korean Peninsula is ordered. According to The New York Times, which reported on the exercise, “Pentagon officials cautioned that the planning does not mean that a decision has been made to go to war” over U.S. demands that North Korea curtail its nuclear ambitions.